BOULDER, Colo. – June 13, 2017 –Global Entrepreneur-In-Residence (EIR), a nonprofit network of entrepreneurs, investors and universities dedicated to solving international entrepreneurs’ immigration problems, today announced that the company received a match donation from Silicon Valley Bank and Brad Feld (co-founder of Foundry Group and Techstars) through his Anchor Point Foundation totaling $200,000. "There’s nothing more frustrating than when a visa problem causes a promising startup to shut down. Global EIR offers a proven method for keeping a business in the United States,” said Brad Feld, partner at Foundry Group and board co-chair of Global EIR. “And it's not just an idea—Global EIR has already helped a growing number of entrepreneurs gain access to the visas they need to grow their businesses and create American jobs. I'm excited about the potential of Global EIR as a valuable tool to build entrepreneurial communities around the country." The donations from Feld and Silicon Valley Bank will continue to fund Global EIR’s mission to help international entrepreneurs access U.S. visas in order to build American businesses and create jobs. Global EIR matches highly-skilled foreign entrepreneurs with universities so that immigrant entrepreneurs can provide expert mentorship to entrepreneurial-minded students. In return, these entrepreneurs receive access to the visas they need to build their businesses inside the United States, ultimately contributing to the growth of the U.S. job market. Currently, there are Global EIR programs in four states across 13 college and university campuses, including the University of Massachusetts, Boston; the University of Colorado, Boulder; the University of Alaska, Anchorage; and San Jose State University. Since the creation of Global EIR in 2014, the nonprofit has attained 42 visas for international entrepreneurs who have started their own companies, creating 123 new jobs and raising $29.9 million in capital in the process. On top of the $100k donation from Silicon Valley Bank, the company’s General Counsel, Michael Zuckert, will join Brad Feld on the Global EIR board. Zuckert will provide strategic guidance to the organization, drawing on his legal and government affairs experience. 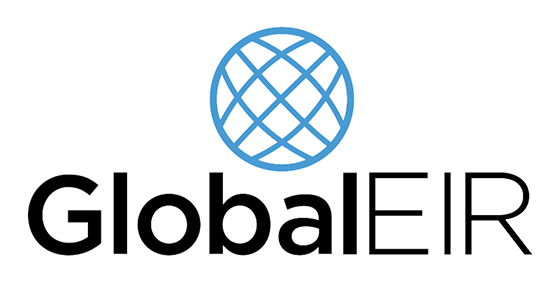 Global EIR is a recent graduate from the Techstars’ Boulder accelerator program and is the first nonprofit to go through the accelerator. Global EIR enables the world's most innovative entrepreneurs to continue to choose the US as the best place to do business. Global EIR partners with universities operating programs to connect entrepreneurs with visas, allowing them to grow their companies locally through a service commitment to the local community. Global EIR believes that immigrant entrepreneurs create American jobs.